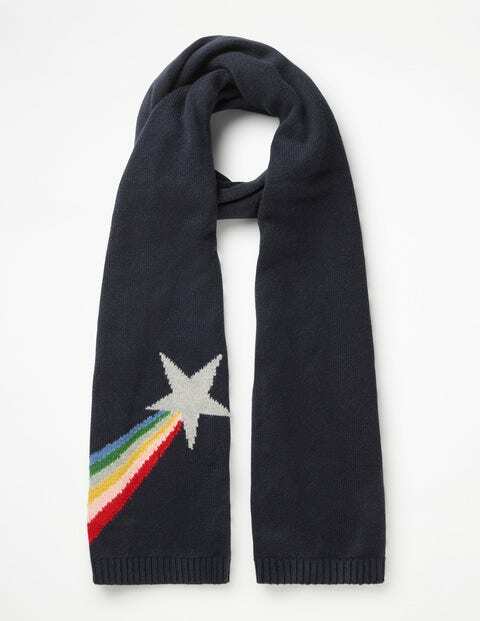 If you're feeling a little starstruck, you've probably chanced upon this scarf. It's made from wool for supersoftness and ultra-cosiness (both of which are words, of course). Choose grey marl with a star-studded, Fair Isle design for a wintry classic. Or go for navy with a shooting star, which magically catches the light thanks to its metallic thread.